What did you love best about Becoming Wise? Because the book is really a collection of interviews held together by the skeleton of prose by Krista Tippett, the fact that the original interviews themselves were actually in the presentation. I also loved that so many different perspectives were presented. What other book might you compare Becoming Wise to and why? I can't think of anything to which I might compare this, certainly nothing that affected me as deeply. 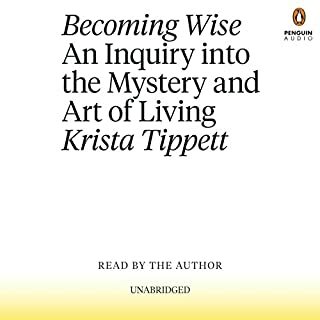 What does Krista Tippett bring to the story that you wouldn’t experience if you just read the book? At first I didn't think I would like her narration but about twenty minutes in, I was captivated by her honestly and gentleness with her conversations. I think this books was just about perfect and I was so happy to meet many of the people Krista has met throughout her career. 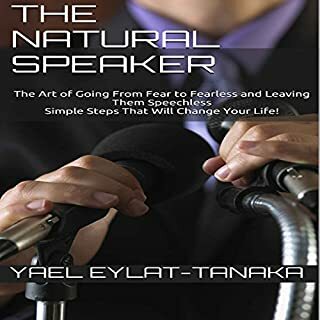 The Art of Going from Fear to Fearless and Leaving Them Speechless - Simple Steps That Will Change Your Life! Public speaking is something we all do every day - when we talk to friends and family, when we speak on the phone with colleagues or superiors, and of course, when we make formal presentations. Yet most of us think of public speaking exclusively in terms of formal speeches and the ubiquitous stage fright that must accompany such performances. What would have made The Natural Speaker better? The reader basically just reads the Toastmaster Manual and throws in a few other comments. I got about 3/4 of the way through and went on to my next book (Art and fear) which is really good.What a disappointment. What could Yael Eylat-Tanaka have done to make this a more enjoyable book for you? Would you be willing to try another one of John Christ’s performances? The reader for this was not bad and yes, I would try another. Because I was already familiar with Toastmasters, I could find nothing redeeming but for someone who was not, perhaps he or she might be motivated to join it or an organization like it. I am just very disappointed by advertising that made it seem so much more than it was. There's no rest for Paris's top criminal investigation division, La Crim'. Who is preying on women in the French capital? How can he kill again and again without leaving any clues? A serial killer is taking pleasure in a macabre ritual that leaves the police on tenterhooks. Chief of Police Nico Sirsky - a super cop with a modern-day real life, including an ex-wife, a teenage son and a budding love story - races against the clock to solve the murders as they get closer and closer to his inner circle. Will he resist the pressure? I can't imagine anyone who would enjoy this book. 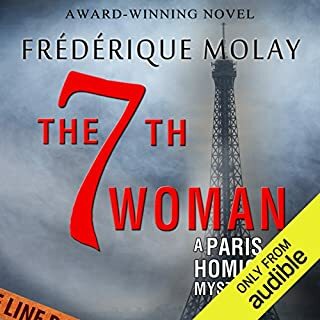 What could Frédérique Molay and Anne Trager (translator) have done to make this a more enjoyable book for you? Would you be willing to try another one of Daniel Jokelson’s performances? There wasn't a single thing about this book that was enjoyable and the reader was pretty bad as well. The plot was poor and the dialogue was was like dogs barking. The supposed love story was adolescent and unmoving. 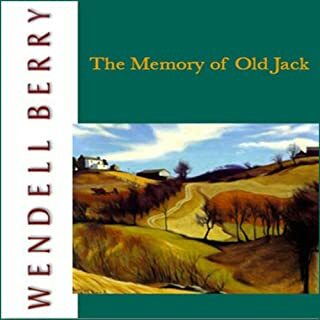 What did you love best about The Memory of Old Jack? I loved the slow and easy pace of the story. It took a little while to grab hold but once it did, every day it would draw me in and rock me in its beautiful language. What was one of the most memorable moments of The Memory of Old Jack? When Jack's wife died and they finally had a moment of closeness and understanding with each other after a lifetime of quiet unhappiness. Having heard Wendell Berry speak, Paul made me believe that it was the wonderful author doing the reading. I entered so deeply into this world that it took me days to want to read anything else. I would love it if audible offered more of Berry's non fiction such as "What Matters- Economics for a renewed Commonwealth" and "Bringing it to the Table". What made the experience of listening to Burial Rites the most enjoyable? I love stories set in a cold stormy location and ones that allow me to look at my own reactions to things I have not previously considered. I knew there would be little happiness but the storytelling and the language was a complete treat. What was one of the most memorable moments of Burial Rites? For me it was the fact that the author found and used records that were ambiguous at best and constructed a story that told a different truth than the verdict the courts imposed. Their world was so hard and joyless but I was never depressed by it. What about Morven Christie’s performance did you like? Perfect pitch and pace for this story. 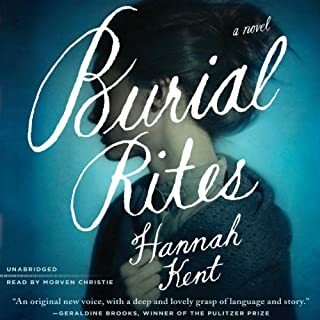 If you could rename Burial Rites, what would you call it? I will happily read anything Hannah Kent writes. I loved the first chapter. Then everything fell apart for me and never came back together again. While the author covered a lot of ground in the story, the character development was exceedingly flawed. The great grandaughter was the worst though all of them just picked up character traits like one would collect lint, without rhyme or reason. I think the author tried to make good points about the development of Texas and I just wished those points had been wrapped in a better story. I had intended to get American Rust but didn't bother after this disappointment. 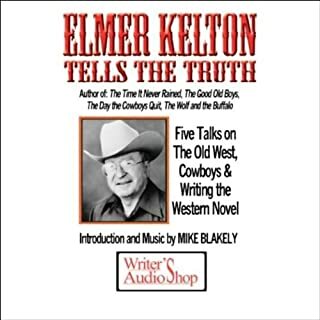 Sink into the easy Texas drawl of celebrated Western novelist Elmer Kelton, the son of a Texas cowboy and a five-time Spur award winner. In this live workshop recording he'll share insights about writing in a genre that doesn't always receive the respect it's due. 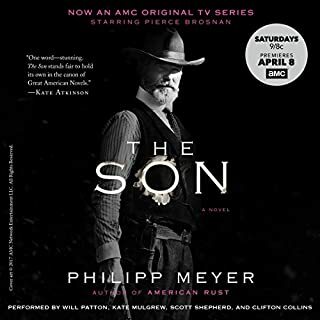 Kelton discusses literary prejudice against Westerns, suggests ways to find a fresh slant and create unusual characters, and reviews trail drive novels. Some of his over 2 dozen novels are: The Day the Cowboys Quit, The Time it Never Rained, and Eyes of the Hawk. 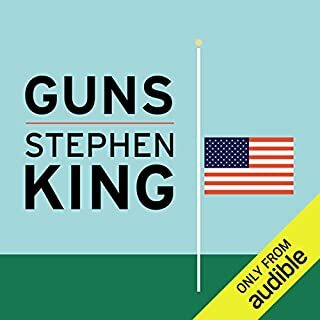 I feel so lucky that these presentations have been captured by Audible and made available to writers everywhere. One reviewer said of his books that it was like going fishing. What a great way to spend an afternoon. Here are four of this famous author's speeches, recorded live. 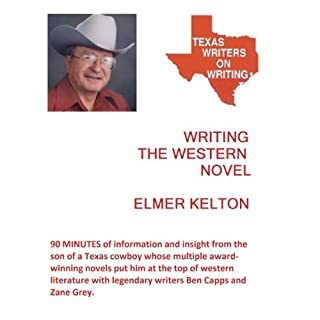 Known for his award-winning fiction, Elmer Kelton is highly sought after as a keynote speaker. His vast knowledge of, and passion for, the subjects he uses as backdrops for his novels is evident in these finely-crafted, humorous talks. I love hearing about the world Elmer Kelton inhabited. He is so genuine that I really do wish I could have known him. You may not learn how to write but you will get to how he experienced life. After reading King's memoir on writing, I thought I would give this a try and it was fantastic. What a bright, articulate man he is and so enjoyable to listen to. 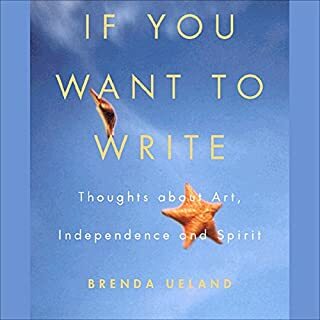 In her 93 remarkable years, veteran freelance writer, memoirist, and writing teacher Brenda Ueland published some six million words. She once said there were two simple rules that she followed absolutely: to tell the truth, and to not do anything she didn't want to do. Such integrity both distinguishes and defines If You Want to Write, her best-selling classic that first appeared in the late 1930s and has inspired thousands to find their own creative center. I have her original book, thanks to Anne Lamott's recommendation but now the audible version makes everything complete. I can listen to Brenda's inspiring words whenever I have a minute and they not only change the way I write but the way I live. The narrator is absolutely fantastic. Thank you, thank you.